The Top 10 list of the largest companies in Saudi Arabia is compiled and published bi-annually by the MarcoPolis research team. The numerical rankings are calculated by assets from each company’s 2014 annual reports and market capitalization for April 2015. These 10 companies do not include private companies or diversified conglomerates, such as the Bin Laden Group, Saudi Oger Ltd., Mohammed Abdul Latif Jameel Co., or Juffali Group, with the exception of Kingdom Holdings Company. HRH Prince Alwaleed Bin Talal’s Kingdom Holdings is included in this ranking because it is heavily leveraged and widespread across technology, hotels, and media. Alwaleed is considered one of the world’s most powerful and influential Arabs, who founded his first construction company in the late 1970s empire and became a billionaire by his early 30s when he bought almost 5% of Citigroup’s shares. The Kingdom of Saudi Arabia is the largest economy in the Cooperation Council for the Arab States of the Gulf (GCC), and 14th globally as per the International Monetary Fund (IMF) and World Bank. The country is also the largest electric power and utility market in the Middle East, overseen by the Saudi Electricity Company and its subsidiaries, as some of the largest companies in both the MENA region and world are headquartered in the Kingdom. The country is also home to the second largest petrochemical company and one of the largest oil companies in the world. The Saudi Arabian Basic Industries Corporation (SABIC) is a significant player in the world’s petrochemical markets, with expanded operations both at home and abroad. 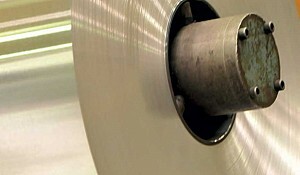 It is the world’s second largest traded company in Saudi Arabia, and is affiliated with 17 additional subsidiaries and companies, including Hadeed. 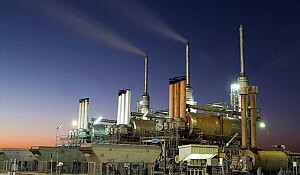 Most petrochemical and oil companies are centered in the two industrial cities of Jubail and Yanbu. SABIC has majority or whole ownership of 18 of these 21 large ‘mini cities’ that house industrial complexes and workers. 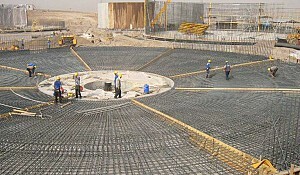 Fourteen of these complexes are in Jubail, 3 are in Yanbu, and 1 in Dammam. 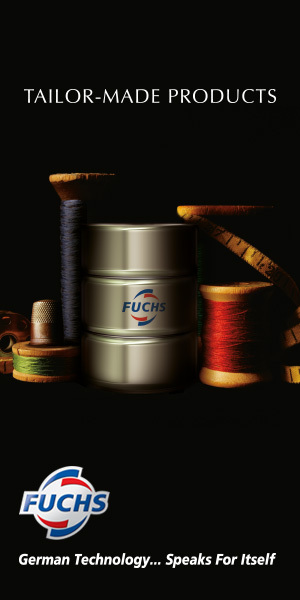 The three remaining petrochemical companies are joint ventures with private companies (Shell, Exxon Mobil, and Chevron). However, the state-owned Aramco is the world’s largest oil company, larger than Gazprom or National Iranian Oil Company, has the largest reserves in the world, and owns both the largest offshore (Safaniya Field) and onshore (Ghawar Field) oil fields. Saudi Arabian Fertiliser Company (SAFCO) is also one of the world’s largest petrochemical companies with $2.6 billion in assets. Low oil prices and decreased demand from China helped persuade the Kingdom to explore other industries besides oil and petrochemical products, such as banking and telecommunications, in order to relieve and diversify its economic base (as petroleum exports are almost half of the country’s GDP and contribute over 80% of the national budget). Education and health sectors are recipients of substantial government investments, as well as large-scale mega projects such as the $1.3 billion Kingdom Tower in Jeddah. The tower is part of the Kingdom City mega project, a venture between the Binladen Group, Prince Alwaleed bin Talal’s Kingdom Holding Company, and Dubai-based Emaar Properties. Emaar is owned by the Emirati government and developed the Burj Khalifa, currently the tallest building in the world. There are currently over $400 billion worth of projects planned in the two decades, in an ambitious plan to spur revenue from non-petrochemical endeavors. Saudi banks and government investments play a key role in financing these projects. The Saudi government created five specialized credit institutions to provide loans and generate investment for projects and companies: the Saudi Industrial Development Fund (SIDF), the Saudi Arabian Agricultural Bank (SAAB), the Real Estate Development Fund (SAMIRAD), the Public Investment Fund (PIF), and the Saudi Credit Bank. The central bank, Saudi Arabian Monetary Agency (SAMA), ensures that banks adhere to the 85% advances-to-deposits mandate. The banking industry experiences a high level of concentration and saturation, with over 90% of the market shared held by just 12 banks. The largest of these banks include: NCB and Al Rajhi Bank, which is one of the largest banking corporations in Saudi Arabia and one of the largest Islamic banks the world; Riyad Bank is one of the largest banks in the Kingdom with total assets are over $56 billion; Samba Financial Group is the third-largest bank in the country with 3,600 employees and assets totaling $53 billion; Saudi British Bank’s market capitalization is $13.1 billion and total assets exceed $46 billion. The size of Islamic banking assets has nearly doubled between 2009 and 2013, and many banks remain optimistic about the long-anticipated opening up of Tadawul, the largest stock market in the Gulf region, to foreign investors. Estimates of potential foreign capital range could go as high as $40 billion. Telecommunications is another growing sector in the Kingdom, after a 30% stake of Saudi Telecom Company (STC) was sold to the private sector in December 2002, in one of the largest government sales of shares. This venture raised around $4 billion, and became Tadawul’s second-largest listed company (in terms of capitalization) after SABIC. Following STC’s partial privatization, and the Kingdom’s accession to the WTO in 2005, several other telecom providers have entered the Saudi market, notably Etihad Etisalat Company’s Mobily in 2006 and Zain in 2008, creating competition with STC for its mobile and Internet services. To better regulate this sector, the Saudi Arabian government is developing a specialized body with both administrative and financial autonomy to provide rules and regulations to ensure fair competition amongst private firms. Marcopolis.net presents top 10 companies in Saudi Arabia. 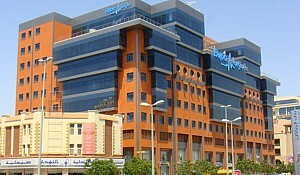 The List of the largest companies in Saudi Arabia is a published list of the largest Saudi companies that has been compiled by Marcopolis.net. The largest companies in Saudi Arabia bi-annual rankings are based on the findings of Marcopolis.net research team. Saudi Arabia is the largest economy in the GCC and 19th globally as per IMF and the World Bank. Consequently, some of the largest companies in the region and in the world are headquartered in the Kingdom. The country is home to one of the top 6 petrochemical companies in the world and one of the largest oil company in the world. The list includes only listed companies. Companies such as Saudi Aramco, National Commercial Bank, sovereign wealth funds, investment vehicles and large family owned conglomerates are not part of the list. The assets are calculated from the annual reports for 2014 and market capitalization for April 2014. Saudi Arabia Petrochemicals 80 90 SABIC is the Saudi Basic Industries Corporation, headquartered in Riyadh, Saudi Arabia. 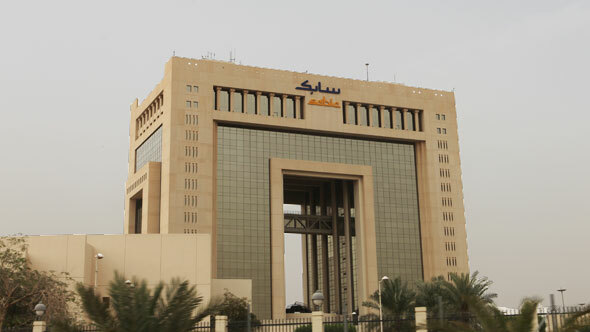 Sabic is the country's and regional largest public company that is also one of the largest petrochemical company in the world with market capitalization exceeding US$ 90 billion.SABIC's businesses are grouped into Chemicals, Polymers, Performance Chemicals, Fertilizers, Metals and Innovative Plastics. SABIC's global operations span across 40 countries with over 60 world-class plants. The company operates across the world with around 40,000 employees worldwide. Saudi Arabia Telecom 35.6 19.6 The Saudi Telecommunication Group provides integrated mobile, fixed and broadband communications services to over 160 million customers globally. 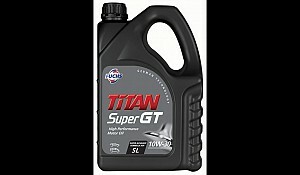 The company is Headquartered in Riyadh, Saudi Arabia. Saudi Telecom Company (STC) is the largest telecommunications company by market capitalization, total revenue and number of employees in the Arab State region. Saudi Arabia Banking 115.9 34.13 Saudi Dairy & Foodstuff SADAFCO: Established in 1976, its factories currently produce almost 40 million cases of product per annum. Saudi Arabia Banking 76.8 27.46 Al Rajhi Bank is the largest bank in Saudi Arabia and the largest Islamic bank in the world. The bank employs 8,400 people. The bank as over 500 branches and more than 3,600 ATM. Major shareholders include GOSI and Sulaiman A. Al Rajhi Endowment Co.
Saudi Arabia Diversified 12.5 19.6 Kingdom Holdings Company is one of the best known diversified groups in the Kingdom. The company is headed by HRH Prince Alwaleed Bin Talal, one of the world's most renown businessmen and investors. HRH Prince Alwaleed Bin Talal is often named as one of the most powerful Arabs. Saudi Arabia Utilities 63 19.2 Saudi Electricity company is the largest company in power generation, transmission and distribution. 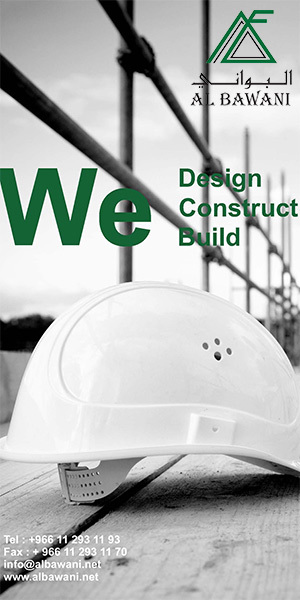 Saudi Arabia Real-Estate 5 18.13 Jabal Omar Development Company develops real estate in Mecca. The Company builds accommodations for pilgrims to Mecca that include residential towers, hotels, commercial centers, and parking facilities. Saudi Arabia Agriculture 6.4 14.13 Almarai is currently one of the largest listed companies in Saudi Arabia with market capitalization of over US$ 14 billion. Almarai is the largest integrated dairy foods company in the world with an unrivaled reputation synonymous with delivering excellence and quality across its entire range of products. 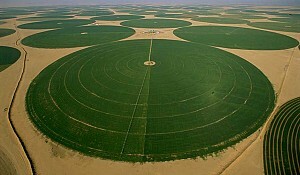 Saudi Arabia Agriculture 53 13.4 Samba Financial Group (formerly known as The Saudi American Bank) has over 60 branches in Saudi Arabia and a branch each in London, Qatar and Dubai. Samba is one of the largest financial institutions in the country. Saudi Arabia Banking 57.6 13.33 Riyad bank is one of the largest banks in the Kingdom. The government owns 51% of the bank.